The maximum use of a heating system is during the winter months. Every year before winter commences people start gearing up by getting their heating systems checked and cleaned to ensure that it does not break down when it is needed the most. A heater that has not been maintained can ultimately lead to a lot of expense on getting it fixed. Thus it is essential that one gets the heating system of their homes serviced by a licensed technician at least once in a year. Proper upkeep of your heater's parts like thermostat and filters not only helps in saving energy but also in keeping energy bills low. Apart from this all electrical, gas and oil connections on the heater should be inspected yearly to prevent any fire hazards. Heating filters that are not clean and not running efficiently are sources unhealthy air inside the home. These useless parts should be replaced to avoid the breeding of germs in the house. Heating spares by Flame Heating Spares provide parts of most heating equipment at very good prices. There are some heating system maintenance jobs which do not require any expert help like cleaning air filters which can be easily done at home. Keeping a check on some common problem on your own helps avoids major problems in the heating system. There shouldn’t be anything blocking the vent like rust, corrosion which hinders the passage of air and thus prevents its proper functioning. Such blocked air inside the radiator adversely affects the heating process. A blocked vent can easily be replaced by getting one from any local hardware stores. Before replacing the vent let the heating system cool down to avoid any mishaps. Inlet valves should either be entirely open or shut or else they make a lot of noise while functioning. This will also help in regulating the heat in a proper manner. Leaky valves may cause the steam to seep out from an inlet valve. This is mainly due to the loosening of the cap nuts near the pipe connections which can easily be fastened with the aid of a wrench. The position of radiators in the heating system should be in a slightly inclined position in the direction of steam inlet pipe. If this slope is absent just place a measured piece of wood under the base of the radiator. This will reduce the noises coming out from the furnaces at times. Having knowledge of the functioning and parts of your heating system helps in understanding the problem when it happens. If the reason behind the problem is beyond your comprehension then you can easily seek help of expert plumbers to handle the problem. Some problems are better solved by the professional as they may be risky to tackle on your own. Heating spares by Flame Heating Spares deals in all the vital parts of a heating system. Heating supplies mainly comprise of heating products that help in transferring heat with using water. 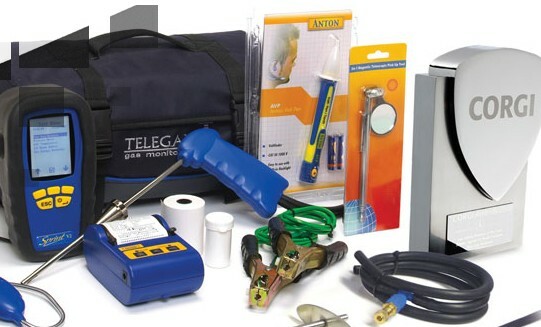 These products mainly include items found in a boiler room.